HUMAN RECIPE!! Do NOT feed to DOGS! So like many of you I am always on Pinterest. 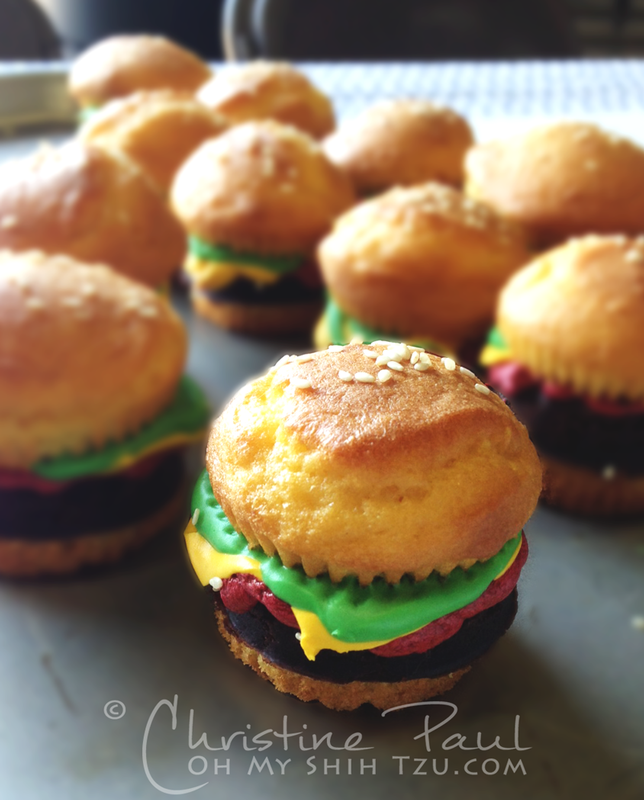 So, as my first blogged Pinterest experiment I thought I would give these wonderful Burger Cupcakes from Bakerella. I followed her directions making only 1 change. For the lettuce portion, I substituted Duncan Hines Frosting Creations frosting mixed with the Mint Chocolate packet. I loved the addition of the mint flavor with the brownie. If you aren’t sure about this frosting mix, I strongly suggest going to the website and downloading their coupon! I found this to be a very easy recipe to make. I will definitely be making it again.